Since their launch on May 2017, Love, Nicki had been followed and liked more than they expected. With this blessing and as a way of saying their thanks, Love, Nicki is sharing some of their most loved items to you our merry readers! They are having a series of giveaways so let’s all stay tuned. Isn’t it exciting? Yeeeeey!!! For a pretty start, they are giving away one of their bestsellers – the Mikaela flower crown headband. Please comment below to let us know that you joined. One lucky winner will be chosen on October 15, 2017. Join now and have fun, Merry Moms! 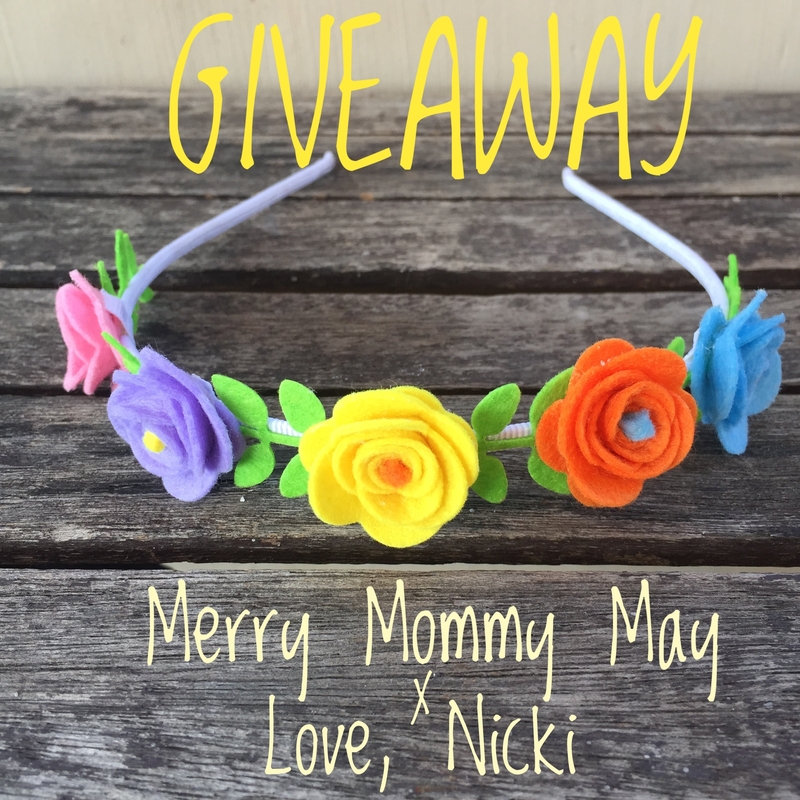 This entry was posted in Contests & Giveaways and tagged flower crown, Free, giveaway, headband, love nicki. Hoping to win this beautiful flower crown. It is very lovely ! Thank you Po and God bless!! Yay! Joined po and thanks for this wonderful opportunity. We already have a winner! Congratulations, Sky Cruz! You have won a Mikaela Flower Headband from Love, Nicki!